Or in this case how to color Sophie! 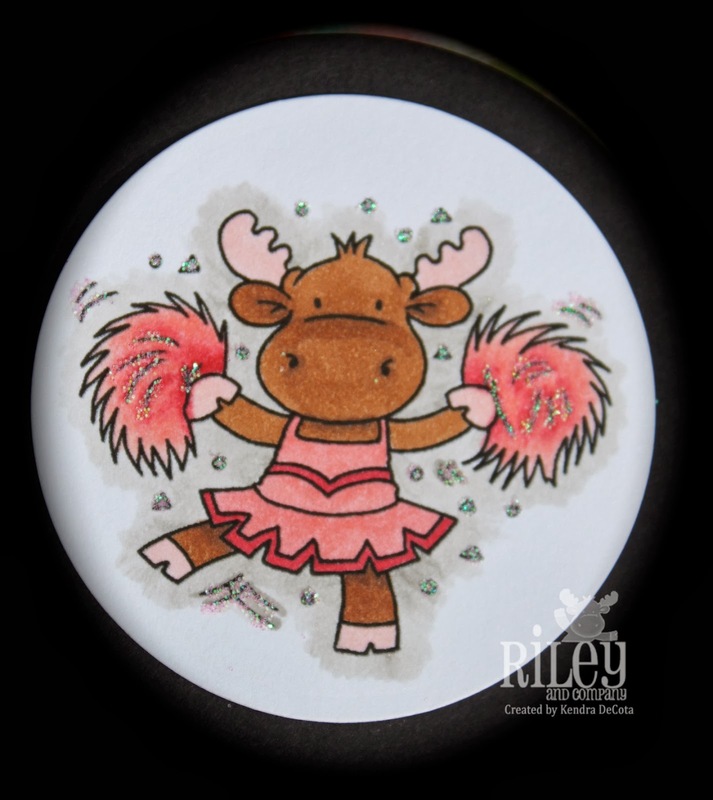 The design team is posting between challenges to help those of you with Riley the Moose and Company stamps. If you have ever wondered how we color our Moose, make sure you check out the blog and the design team links below. We have many mediums and color combinations for you to check out! I used Copic markers to color Sophie. For her dress and pom-poms I used R32, R37, and R30. For her body I used E35 and E47. For the antlers I used R30 again, and W1 to go around the whole image. The glitter was added with a glue pen and diamond dust.